You don’t need a degree from Parsons Institute to be a better home decorator. But what you do need is the desire to learn and time to practice. 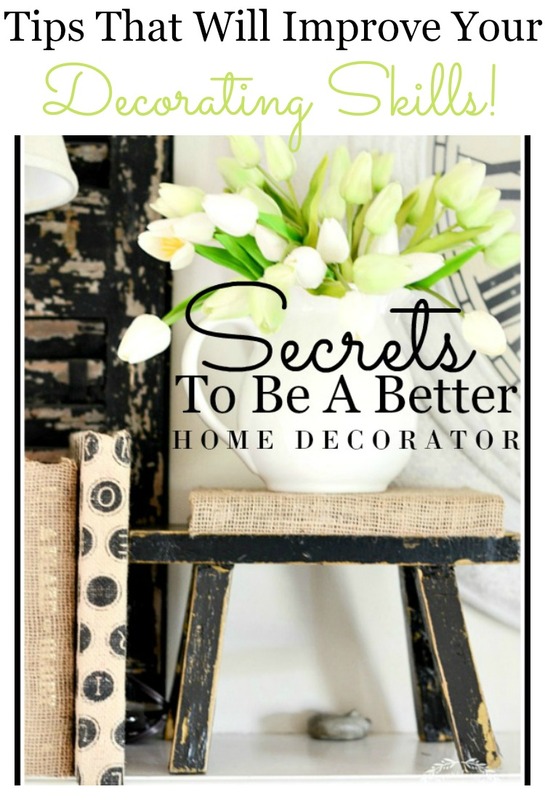 Believe me, even the decorating mistakes I’ve made have made me a much better decorator! Anyone who loves their home and wants to make it a beautiful, comfortable and welcoming environment can get better and better at decorating! I’ve been blogging for seven years and along the way have picked up some secrets that have helped me learn how to decorate and have trained my eye to know good design. I’m sharing a few of those secrets with you today! 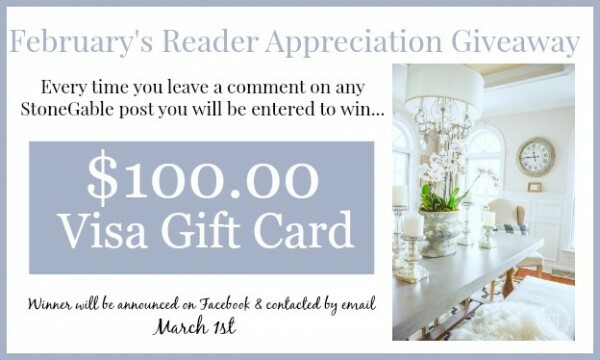 REMEMBER TO LEAVE A COMMENT TO BE ENTERED TO WIN! One thing that will make you a better decorator is to take pictures of what you decorate. Use your phone to take lots of images and then go back through them and you will be amazed how the camera picks up what your eye can’t perceive! It’s really quite astonishing! It takes just a few extra minutes and your camera works as your assistant to tell you what doesn’t look right and what’s out of place. If bet you never knew you had a little personal decorating helper with you! This is a secret I use all day long! Taking pictures of anything I have just styled gives me a clear “picture” of what’s out of place or a little wonky. Then it’s an easy fix! Another thing I’ve learned from blogging is that you and I will probably not get decorating right the first time! 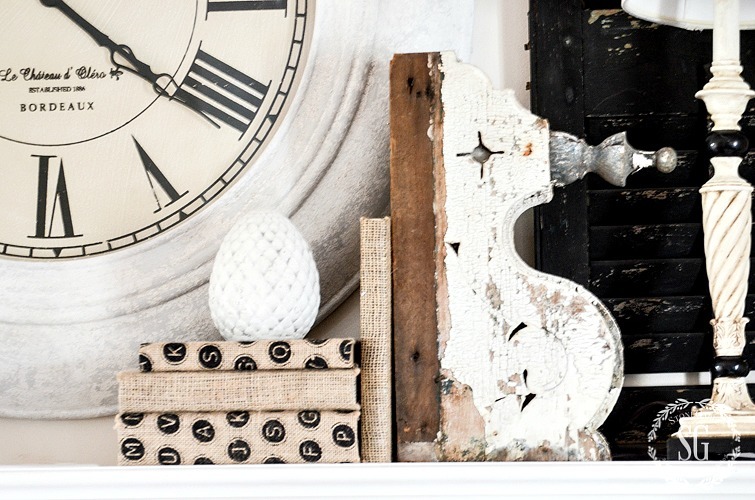 When I’m creating a vignette, or mantel or styling shelves I need time to “play”. That’s my buzzword for spending time creating a curated, cohesive and interesting look. I add and edit and change things around lots and lots of time until I think I have it just right. I take pictures and look at them with a critical eye and go back to what I’m styling and do it again. I leave it for awhile and come back to it and work it a little more! We want what we create in our homes to have an effortless look. But we know just how much time and energy it really takes. One big lesson, for me, was learning how much I like a “tight” color palette. Using just a few colors in a room is easy on the eyes, serene and inviting! But a room with such limited colors needs lots and lots, and let me say it again, lots and lots of texture so it won’t be boring! If you look at one of my images and like what you see it might be because I keep my room fairly neutral and my colors tight. Also, I love a bit of black for drama. That high contrast draws the eye into the room! Here’s another tip I’ve learned and if you learn this too it will up your decorating cred immensely! I’ve learned to almost surgically pick apart an image I love and pinpoint the elements that are so attractive to me. And not only that, I have also learned to translate what I love from an image to my own home. I would study and pick apart each detail of this image to unlock decorating styling gems! I would break down the entire image into sections. This is such an important tip! I get lost in the fabulousness of an image and I usually am not able to see those specific decorating gems until I break down an image and concentrate on one section at a time!!!!! I bet many of you are the same way too! Literally take out a pen and mark up the image!!!! If you see an image you love on Pinterest, print it out!!!! Write down what you learned on a separate piece of paper. I keep a bound journal with all the things wonderful things I’ learning! I also write things down on the image too. Once you’ve mined out all the decorating secrets in a picture find a place to use it in your home! And keep reworking it until you love it and it becomes your creation! One of the biggest lessons I’ve learned from having a decorating blog is decorating a room does not happen overnight. So I’ve learned a whole lot of patience. Give yourself permission to have an “undone” room. I’ve been living with an undone home for 21 years! Decorating is an ongoing process. The end goal of decorating should not be a perfect home, it should be a well-loved and appointed home! Today is episode 7 on DECORATING TIPS AND TIPS. Today our topic is BLOGGING MAKES US… AND YOU… BETTER DECORATORS. 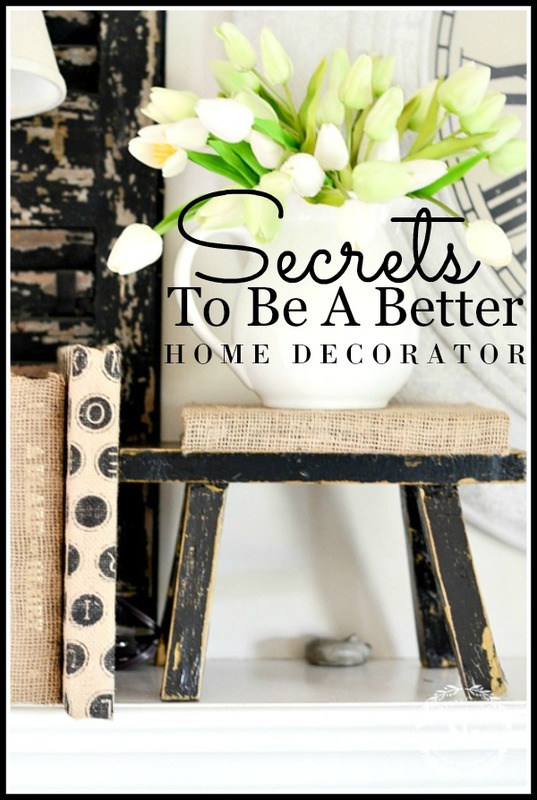 We are dishing out so many secrets we have learned about decorating from blogging! Lots and lots of tips! You can go to DECORATING TIPS AND TRICKS AND listen to all 7 podcast HERE and don’t forget you can always listen on your iphone and android! Or you can listen below! Just click the little arrow on the left side of the box below! Anita, Kelly and I are sharing decorating tips, giving out easy decor tricks and having lots of laughs along the way!!!! I hope you will listen in! We are invested in helping you create a beautiful home! If you have a decorating dilemma or need help on a decorating project you might want to tell us about it! We will soon be solving YOUR decorating problems on our podcast Decorating Tips and Tricks. You can call us at 323 480-4408 and leave a message or email us at decoratingtipsandtricks.com. And please pin the image below to help you remember and save this post to refer to later. I love love love my pinners!!!! I’m a new follower and I love your style. I especially noticed the books in this post and looked back at your post on how to do burlap covered books. Love it! I’m doing it today! They are addictive, Pam! Welcome to the StoneGable family! These were excellent suggestions! I try to stop and analyze photos of rooms that I like, but you gave me some new ways to look at them. And thank you for the reminder that real life is messy. Lol. We don’t live in a vignette! Great blog. Where do you get your faux tulips? HI Donna, I found them at a small local shop. Sorry I can’t help you more! Great post….love the idea of using my iPhone to take pictures. Your style is so gorgeous. I am in awe of your decorating. I love this style! Thanks for the tips and ideas. Thank you so much for this article. I had heard about taking a photo of your space to see what needs tweaking. However your point on dividing a scene into sections and examining what you like and why it works and then transferring this knowledge to our own space is such such great piece of advice!!! I look forward to checking out more of your articles. Thanks again!!!!! Love how you are always so willing to share what you have learned Yvonne! I have learned so much from you! You are my favorite! Thank you!! Great ideas. Practice, practice and keep working the process until I have it. 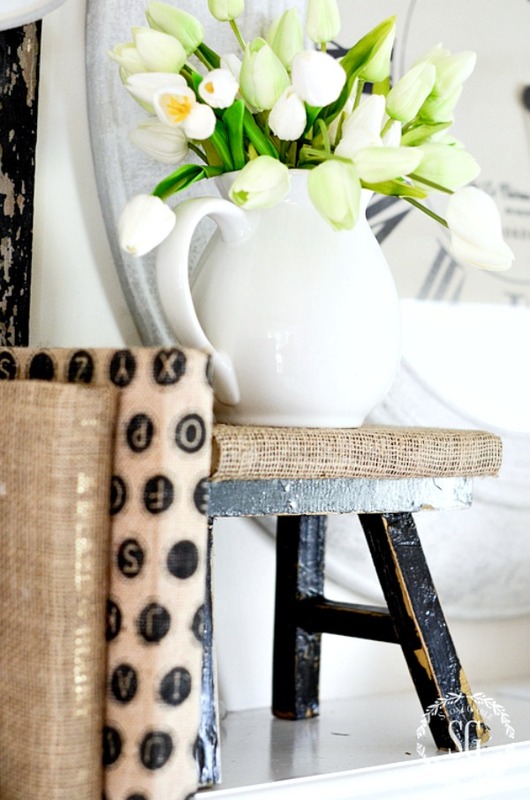 Love the little black stool on your mantle! Thank you for the tips. Using your tips I really hope to some day take my home from being a hodge podge of a mess to a beautifully styled home. Your blog has made me a better decorator for sure. Please keep those ideas coming. The podcasts have been so much fun. It’s like sitting with a group of friends and chatting about decorating. Hi Yvonne , another great post from you! I luv the idea of taking pictures to really “see” a room ! I’m forever moving and rearranging furniture ( drives my husband nuts-lol) but once i get a room “right ” I tend to leave it that way for a long time. Seeing the room thru the lens of my camera might help to speed up the decorating process. Thank you, Yvonne, for this timely reminder and advice! I love decorating and the very process of decorating! Always looking for inspiration to translate into my own home to keep it fresh! Love the clean simple colors of your home!! Love your shutters! Love the tip about printing out images. I’m happy you posted that you have a room in progress for 21 years. I can identify with that one! Love your decorating style!!! You break it down beautifully for us decorator want to be’s. This is great way to get inspired, I always find just a new way to look at a problem! Great podcast! Probably the hardest thing for me is having an undone room! I am not patient with this and I am trying to become more as it pays off in the end. just love your posts, and podcast I often read your posts over and over! Thanks for the tips! Love the idea of taking a picture of the arrangement and then analyzing it. Sometimes it looks good to the eye and then when you see the picture, it really doesn’t work at all!!! Love, love , love the black shutters. Any suggestions on where I would find something like that? Thanks great post again! I’m ine process of refreshing my kitchen. Loving it. The tips help so much! I always enjoy your posts and ideas. I scroll through to play catch when my week has been busy. Today, I am going to make your heart filled hand pies for Valentine’s. in trusting my home style decorating! I love your decorating ideas but the white and black wouldn’t work in my home with pets and young grandchildren around. Totally agree with taking pictures. It has helped me with dimensions and clutter look . Great advice! 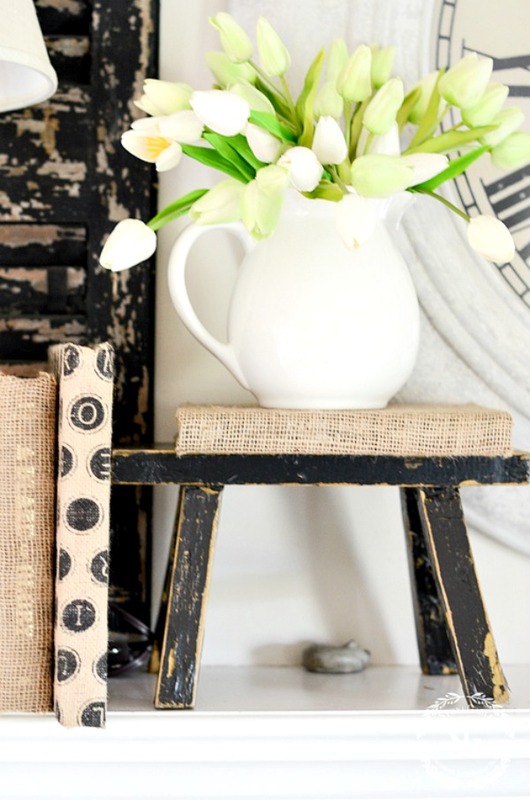 Great tips on decorating that are easy to understand and put into use! Thank you! Thank you for your tips and I’m doing already what you mentioned that take a picture and I leave it for a day and then I do the changes or continue with the next step. I love your podcast very much!! Thank you for your tips and step by step advice? Like everyone else I love your ideas. Now that I’m on a fixed income I don’t play as much. I really like doing tablescapes. I still have multi sets of china and crystal and love to decorate for each holiday. Thanks for all the help. the multiple ads distract from the beauty of your pictures, especially when they pop up over the bottom section and hide it. It has changed the whole spirit of your blog in my opinion, to more of a commercial venture for profit than the bonding with the reader you used to have. I am sorry to see the gimmicks for profit. If I did not have the ads StoneGable would not exist. How do you think I can change my rooms and give you so many new ideas? It’s just a part of being a blog like StoneGable. I hope you can overlook the ads and just remember without them StoneGable would not be any more! They have to. Someone has to pay for the blog, better them than me. It is very costly to blog. 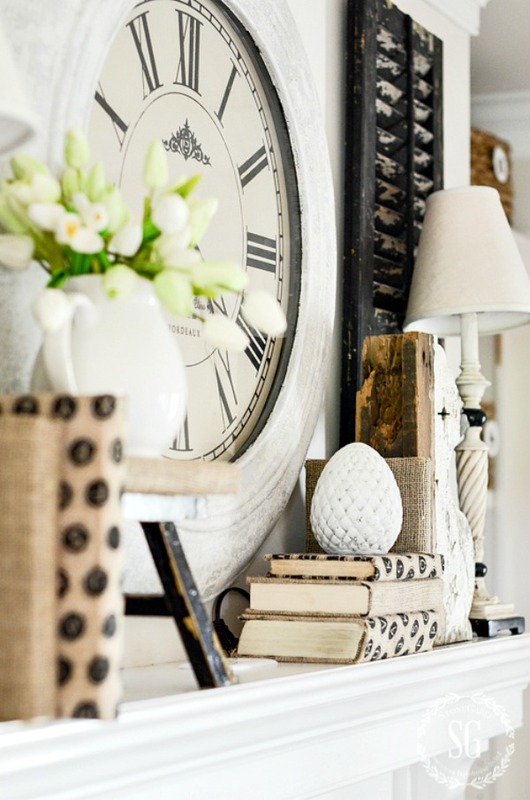 I do very much like the way you style shelves and mantels and vignettes. I always think that styling is the most fun thing we do. I think of it as play time. It is what we do after we have done all the work of planning, gathering, painting, removing paint, re-jigging etc., etc. It is the fun part. Great tips! I’m looking for “chippy” shutters for my mantel. Thanks for the tips! Never thought about taking pics. I have a hard time decorating my booth and this will help so much!! Love the way you break it down. Once I get a room the way I like it, I usually keep it that way for the season. Now I will try to move things from room to room for a nice change. Thanks for the good tips. Love your blogs, especially the tips and tricks you share. I love decorating, also, and I take pictures. Pictures tell a lot. I like th idea of taking a picture of the project. I never tried dividing my mantel like you did. 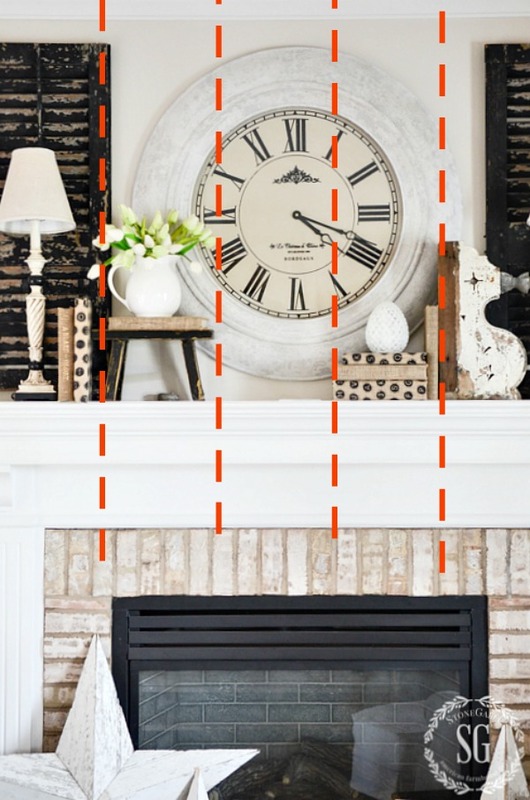 I have seen this technique with shelving and now I will try this with my mantel. I just decorated my entryway this weekend and love it. I took a picture today to send to a friend and when I looked at the picture, I loved it even more! I was very proud to share my creation with my friend. I never realized how much a picture makes your decor stand out. Now I’m reading your blog about taking pictures of your decor. I’m a believer! Thank you for sharing your wisdom with all of us decor crazy sisters! Thanks so much for helping “decorating challenged” people like me learn. We just moved into an apartment after 23 years of owning our home. I really do love the apartment and already have tons of ideas for decorating. Right now though I’m just unpacking and trying to practice clutter control. I know things will come together in time, but oh my goodness it’s so hard to wait. Thank you for the encouragement and lessons. I even have a laundry room. I didn’t have one in my house, just a washer and dryer in my kitchen. 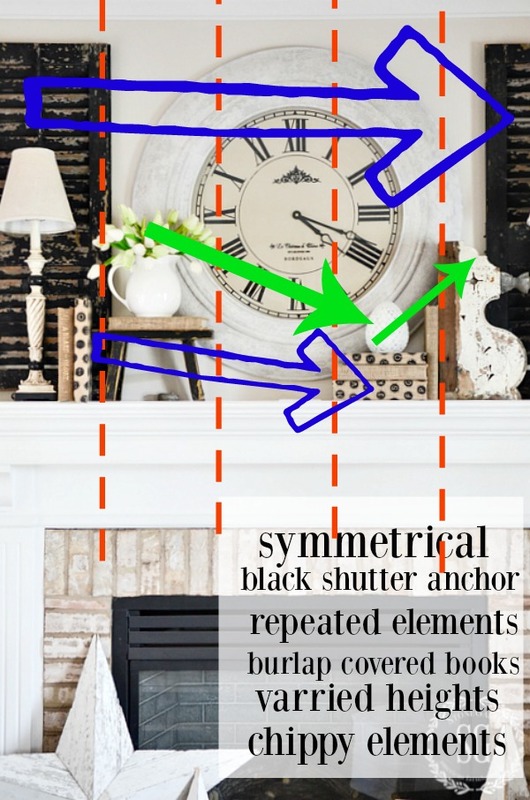 Thanks so much for the sharing the diagram of how to break a beautifully decorated mantel into chunks and demonstrating how it should flow. I really needed this! What did we ever do with out our iphone cameras! Thank you for the break down when evaluating our style, and on going projects!! I love the mantle. I don’t know if your white tulips are real or artificial, but I have some that look just like that and everyone thinks they are real, but they aren’t. I have tried to find more that look like those, but can;t find them. Any idea where you got them? Thanks for the advice! I’ve never thought about breaking down a picture in that way. I will be using that tip in the future! I have found the tip of taking pictures of your space to be true. So many times I thought I had done well only to see something different in my pics. lol Great post! Your mantle advice could not be at a better time! I am having so much trouble deciding what I need to do to make my new mantle cohesive with the room. I want it finished immediately. I have no patience! I love anything with chippy black paint! 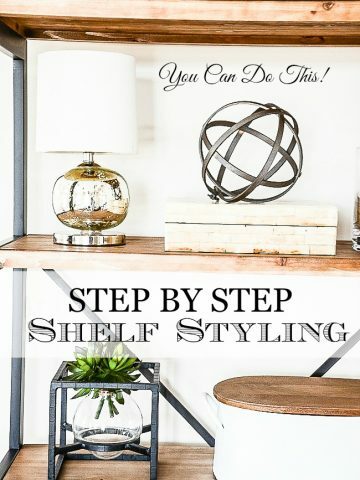 Love your practical tips for learning how to style your own home… I had to smile when I read your tips about studying a photo to break down what you like about it and to learn how to reproduce a SIMILAR look. When I first started blogging, I spent literally hours dissecting your blog and beautiful photographs to learn how to be a better blogger and to be a better photographer. Many of your photos are on my Pinterest boards for that very reason. Just as you say your home is “undone”, so is my blog, but I think it has come a long way due to you being a role model for me. Thank you for sharing your vast expertise in your blog commentary, your stunning photographs, and your infectious, friendly style on your new podcasts. Yvonne I have gotten so many idea’s on how to decorate my home better and change the things that I don’t like by reading your posts. One of your post I read on how to paint a room has helped me so much. Now I’m waiting for the weather to get better so that I may re-paint(unfortunately) my home (living room dining room and kitchen all over again. Also when ever I see a room or an object that I like on the computer or magazine I take a picture keep them under one file on my tablet this way I can get or buy everything I need without forgetting. ? Thanks for encouraging me to have patience when I’m working on getting a room just right. As always, great tips and advice! Love it! Great pencil trick. Maybe if the photo was still on phone camera, hit edit to see where the 9 blocks on screen divide the vignette or mantel. Keep tweaking real life until the camera lines shows the proper thirds. Thanks for the reminder that “it takes times”! You are my go to decorator! I follow you religiously. I have to remind myself constantly to use my phone for taking pics of things I need to remember (i.e. Model numbers, pictures of appliances, ) but loved your reminder to take pics of how mantels, shelves, tablescapes, etc. look after completing to see what needs to be rearranged. It also gives me a chance to show friends I’m meeting up with who’s opinions I respect. Thanks!! You think of everything! I would of never thought about the alignment like you did. Thanks for more great tips. I too do the photo thing, and find it so helpful to really “see” how things look. Love how you get such a rich look with so few actual colors. But I also love color…..you have taught me that using only one or two colors and shades thereof gives a great look, but so hard to decide which color to stick with. frustrating some times! Taking pictures can show you a lot that you just can’t seem to see with your own eyes. I just need to implement the idea! I love the blog for tried-and-true ideas…. thanks so much for the inspiration! I love how you ‘operate’ on the pic to get each details of the design. Great ideas! Good lesson. I also think some black in a room is good. I love your ideas and appreciate seeing your photos of your home showing the suggestions put into place. I agree 100 percent on using your camera as your extra eyes. Something can look balanced and a picture will show you that something is off. Great tip! Hi Christine, I love Scotland!!!! I lived there as a child and have such fond memories! I have been painting for quite awhile and so i rotate a lot of my artwork. It could also be done if you are not an artist too. I shop the nearest thrift stores and have been lucky enough to find frames for my art but also quilts etc And i have also found candle sticks etc. If i don’t like it i donate it back! I love the podcast as well as the tips. I am a hobby cook and my wife recommended I start looking at your recipes. I enjoy reading the weekly ‘whats on the menu’. I have access to fresh Rainbow Trout and look forward to making the ‘Trout with Garlic Lemon Butter Herb Sauce’. Those are some good ideas. Thanks ! I am learning more and more about texture and how important it is. Having a simple design still takes lots of textures. Thank you for time and inspiration!! I am always learning and every time I read your articles learn so much more! Thank you and God bless! Loving all of the SPRINGY pictures and reminders that IT’S COMING! ? Hard to remember when it’s in the 40’s today in VIRGINIA! ? Love these tips and I always use the pictures I take to be my guide! It Works! Great post. You gave me the idea to decorate with books and I use it in multiple rooms. Thanks. I like the clean crisp looks! Lots of whites. We are in the process of selecting paint for our forest home. Do you have suggestions for dealing with the various lighting that the paint store has and the variations when you get the paint home and in your own home lighting? Hi Cathy, you can buy paint pot samples. I’d advise to paint “stripes” of different colors on each wall in the room you are thinking about painting. Use a pencil and mark down the name of each paint under it. Then look at the paint over a week in every light coming from the outside and lamps at night. Write on the wall your observations. At the end of the week you will know if you have found your paint color or need to try again. Hope this helps. Thank you for the great tips and advice. I am always taking pictures of many of your ideas and changing and rearranging in my own home. Great post Yvonne! I have already covered a couple of books that I no longer needed with burlap. The burlap I used was a looser weave so it was a little messier than I expected! I look forward to making your “metal” orbs from embroidery hoops sometime in the future.Thanks for all of the great ideas! I never thought to divide an image into equal parts. Thank you for that great tip. My biggest challenge is decorating my coffee table. It’s a rectangular wood table with four glass panes. I really struggle with it. Any hints? Thank you for all the tips! 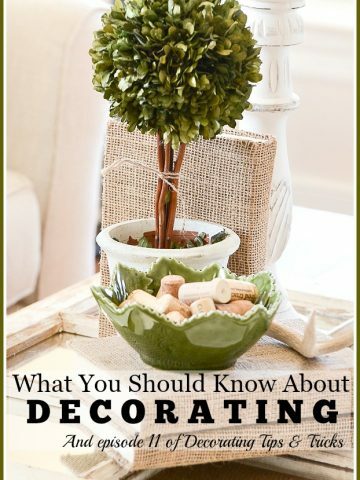 With this info., decorating has become a bit easier! Thank you for all the tips and your great sense of style. I am a realtor and your blog today about taking pictures is so true and I use this when staging a home for a listing. The camera is truly my assistant and helps me in adding to, removing or rearranging a room for online photos. I enjoy reading your blog and look forward to all that you share! Fantastic ideas as always. Blessings. Thanks for the suggestion to take pictures. I also will be more aware of the alignments of my vignettes into fifths. Makes sense. When I First came across the StoneGable pins from Pinterest, I knew I had found the look I wanted in my home. I hope my home is as inviting as yours, Yvonne. Thank you for your wonderful tips and style. I appreciate that we can personalize our homes and not follow perfectly the styles in the stores or fab tv shows. I don’t want my home to say” Oh, you really liked the style of 2017 and a few years before.”May you have a wonderful day and better ones to come. I look forward to your posts every day. I really learned a lot today. Thank you. Thanks Yvonne. 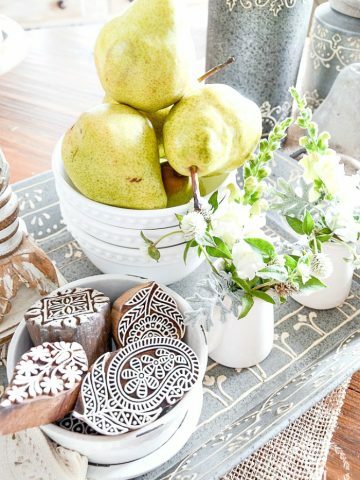 Love the tip about taking pics!,,, have you ever done a blog about what to put on a tray- wooden or not. I’m stymied!!!! Suggestion for a blog maybe?? Thx for all your tips and hope your ankle is healing!!!! Love the idea of taking pictures and then making decisions from the photos. Read once to do this with an outfit (take picture to see how you really look!) and it seems to work pretty well. .Can’t wait to start taking photos to see how my home really looks to others! Thanks for all the tips. Thank you for teaching me so much. Taking pictures really does help. When you are standing looking inside your room, you miss so much. Please continue the wonderful tips. So glad I found Stonegable! Just love it!! I also love my hubby who values my need for fresh flowers in the center of our kitchen table always! Jim selects the arrangement and replaces the old with the new as needed!!! It’s so nice to be loved and appreciated. Adds to the decor of our comfortable home!! Wow! These tips are incredible. 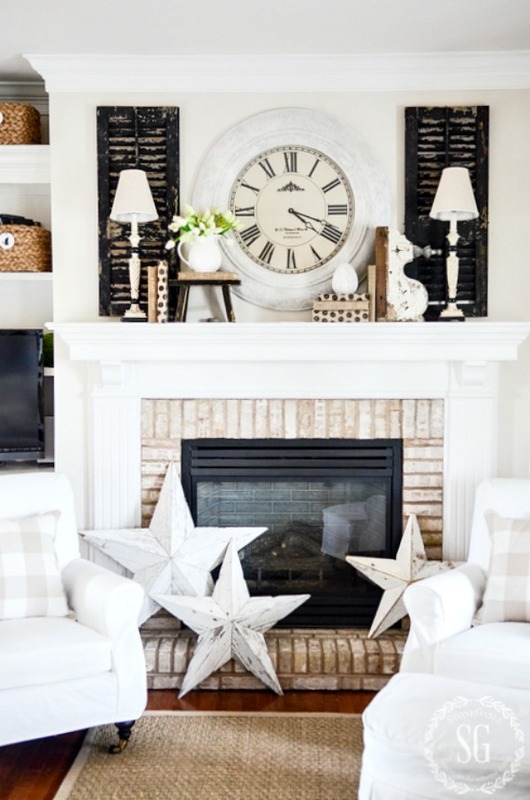 I have always missed the mark on mantle and coffee table décor and I think that is quickly going to change! Thanks for the great ideas and easy how to! I love to read these type articles, but tend to collect whatever catches my fancy at the moment. My decorating style is a bit eclectic to say the least. Thanks for sharing this fabulous tip! I will be using in my new home decorating! I love your ideas – easy transition through the season/holiday changes, surround yourself with things you love! Thank you for a wonderful blog and great info. So much I want to do, so little time. I cant wait to try some of these ideas. I love your blog and I look forward to seeing what’s next. Your Valentine cherry heart pies look so delicious that I want to make them for my husband tomorrow. What a sweet labor of love! Love all your ideas! and your right….the camera sees things your eyes don’t. I just love all your vignettes, your home is welcoming and so lovely! Always appreciate your decorating tips and suggestions; this post helps me look at a room and begin to find what it is that I like in the design. I love all your tips Yvonne thank you. So glad io be a new member and learn from you! Wonderful tips! I too use my phone camera as a tool to help me visualize what I can not see when I look into a room that I have been working on. Sometimes I think it looks great, I snap a pic, take a look and think wow there is something missing. How could I not have seen that. I really enjoy reading your blog so keep up the good work! Your pictures are always amazing!!! Great ideas again! Thank you! I’ve never considered printing and then dissecting decorated space – so helpful! Thanks- love the idea of analyzing a vignette by sectioning it off. I had often looked at things by halves but see this is better! Love your blog and the podcast! Great idea to take the picture. It’s like seeing your own home with a new eye and maybe more like what a professional would see. Thanks so much for all of your great ideas for our homes, and delicious recipes. Your passion for what you do is evident with each post! The tips on your blog are so inspiring. I always look forward to them. Love your style!! Thanks!!! Thank you for sharing. What I personally love about your blog and Facebook postings is the elegant, but simple, ideas. Reasonably affordable ideas and helpful hints. I’ve also made lovely desserts and entrees from your site’s. Thank you as always for sharing. Im so glad you are a facebook follower. I love the visual breaking the vignette up in fifths. I tried to explain to someone how I have a problem with disliking too much symmetry and balance, and often work in fifths when dividing up an area. Great post! I really love the podcasts. Certainly encouraging in a “can do ” fashion. I haven’t done anything because I know what I like but I don’t know how to translate it to my downsized house. You ladies are great! I’m in the midst of choosing a new sofa so your tight color palette is so helpful. I’m actually thinking of dark blue as a neutral. Will it work? Yes, it is the small things that get me. Styling vignettes can be very frustrating for me. Great tips and tricks of the trade! Taking a picture is a wonderful idea! I have a notebook full of catalog pictures and dream rooms! and to aspire to the “perfect for me” room! Never thought of taking pictures as part of the process. I will definitely be trying it! Thanks for all the great tips! I love taking photos of my rooms and going through them to see what I can change or make better. It seems to be easier to see where changes are needed when I look at pictures rather than my actual room. Thanks for such a wonderful blog! New thought for me to take photo of room. I will try this. I’m sticking with a color theme and that has helped in keeping my room looking planned and beautiful. Thanks for your tips. Fun to here your lady’s voices? You gave me some new idea’s, and some I already use in my home. I thought it was only my crazy self that keeps rearranging my rooms. Glad to hear I am not alone. Love your sites? Thank you for all your inspiration and validation! My husband does not understand when I like to freshen and renew things around the house! He says I always make things look nice but can’t grasp why I can’t do something and then just leave it alone!!! Love your advice to take pictures have not even thought of doing that! Hope you are feeling better. Thank you for sharing your knowledge! Great tips. I am going to take picures of my rooms. I do that for seasonal decorating so I can remember what I did for the next year. I never thought of doing it just to see what my rooms look like. I also like the tip about dissecting the area you want to “copy”. Great points presented in this post . Great tips! I want to show it to my husband. He can’t understand why I keep moving things. My best bet would probably be to stop asking him how he likes a new placement of furniture of art work. He can never get the part about our home always being a work in progress! Love to rearrange!!!! Yvonne, did you post Grandma Lo Bianco’s Famous Meatball recipe yet? Maybe I’m missing something or not doing it right, but the link doesn’t take me to the recipe, it takes me to the Decorator’s Tips site. I’ve really been looking forward to that recipe! Has anyone else not been able to see the recipe for these great meatballs? Thanx. I’m really enjoying the Podcast! Keep up the great work! I’ll be posting the meatball recipe on Sunday the 19th. Wonderful idea about taking pictures. I never thought of that. I love the way your organized mind and writing skills skillfully mesh to help your readers understand processes. This is a great post! Hi Ellie, It’s really a matter of personal taste. I have a lot on the mantel but it is very very color tight. Less would look empty. Oh, Barbara how wonderful. That area is beautiful. Maybe someday Bobby and I will retire on the Chesapeake. WE love it. But it would be pretty hard to leave my beloved Lancaster County! Great idea to take pictures and study them. Also, to take time and look at it again. 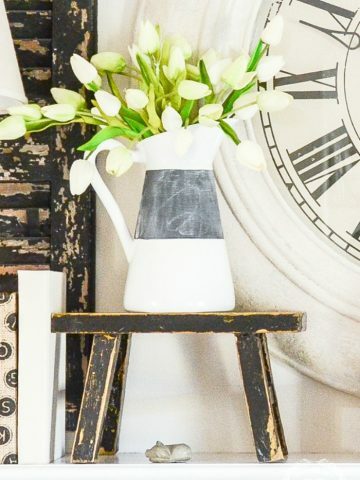 Love the pitcher of tulips. Time to dust off my white pitcher? Great ideas! I sometimes take pictures when I put out my Christmas decor and really like the way something looks that I want to remember for the next year. I do the same for flower combinations that do well in the summer. U r so correct about taking a pic of ur creations or decoration or decor. I learned by accident to take pics. Scale is tough for me. I would like to see a few post on that. A few years ago, I bought these great (I thought) metal shutters for my “interior windows”. In a pic of another subject, I noticed the metal shutters placed next to the interior windows. OMGoodness! They looked minuscule next to the window like opening. What a “fail”! Sad me! I took them down. Nothing was better than that! Maybe a “fail” but you certainly learned something! You are showing your “teaching” skills today. HA! HA! Not a bad thing! We love your drawings, info. This was a great podcast. I don’t do ITunes so don’t know how to comment there but it was excellent and I’m enjoying the series. Keep listening right here Amy! So happy to hear you are enjoying the podcast. I’ll pass your comment along to my partners. Thanks for the tips. When I start to change things up, which is often, many times it looks like a Hobby Lobby bomb exploded while I pull out things and try stuff. I don’t know if that’s normal or just me. lol!I love it when my fabulous reading friends make me laugh! I agree with your tips. I do have one decorating pet peeve. It is covering books to blend or accent a décor and displaying books with the binding backwards on the shelf. Books are for reading and enjoying and are a wrapped package unto themselves. They are to be relished and read and their titles are their own giftwrap! Books and their titles and condition also say a lot about the owners! I love books in all shapes and sizes. But when they are not in use they make great decor elements! I’m living out your grandma’s quote! So true! I am kinda new to your blog but i love reading it. You have a lovely home that would make anyone feel warm and welcome. I also love your inspirational inputs. God has blessed you with a beautiful spirit to share with others. Hope your foot is healing well. Welcome to the StoneGable family Rose! I’ve never tried taking pictures of my rooms and then looking at them from a different perspective. I’m definitely going to try that in my family room. I’m getting a new sofa in a couple of weeks and have an opportunity to redecorate! Good tips.I feel my home is always a work in progress. I think that’s how most home decorators feel! As always, great practical advice. THank you so much! So true! You always have the best and most practical ideas!!! I enjoy your blog so much!! Hugs to you Joan! I’m all about great ideas! Great post with a lot of practical tips. I’ve learned volumes just by studying you!